EspañolDanielle Smith has, in her own words, “always been involved in the world of ideas” — an advocate for economic liberalism with the Fraser Institute and then with the Canadian Federation of Independent Business. So when she decided to enter Alberta’s political arena, sparks were inevitable, as were a new crop of ideological enemies. Smith, out of office as of this month, shared an interview with the PanAm Post, to reflect on whether the venture was worth it, and on how others of her inclination might engage in an effective manner. In this quest, she joined the upstart Wildrose Party (named after the province’s official flower) and became its leader in 2009. The rogue party conveyed her desire to oust the Progressive Conservatives (PCs), who had held power for decades and, despite pleadings to the contrary, were anything but for limited government. Regarding how the PCs became so unpopular in Alberta, Smith actually defends their former Premier Ralph Klein (1992-2006): he “came in having inherited a major mess of a CAN$23 billion debt … an amount of money that was cannibalizing [program expenditures].” He balanced the province’s budget, paid off the debt, and streamlined the regulatory environment, without raising taxes. However, “it’s like he didn’t know what to do next, and as a result the [progressive] drift set in.” Resource revenues, which proved to be unsustainable, enabled both expanded program spending and lower taxes during and after Klein’s time in office. Late in 2014, Smith thus made the final decision to leave the Wildrose and join the PCs, earning plenty of consternation along the way. Her move came to naught, though, as she failed to win her party candidacy in Highwood and support for the PCs collapsed, much of it going to the Wildrose. Her fear is precisely what happened in April’s provincial elections, earlier than Smith expected, with the New Democratic Party (NDP) crushing both the PCs and the Wildrose. The NDP went from just four to 53 seats, achieving a comfortable majority of the 87 available seats. Such a landslide, she explains, compels a “galvanizing vision” in response, one that addresses matters of social justice and the most vulnerable. 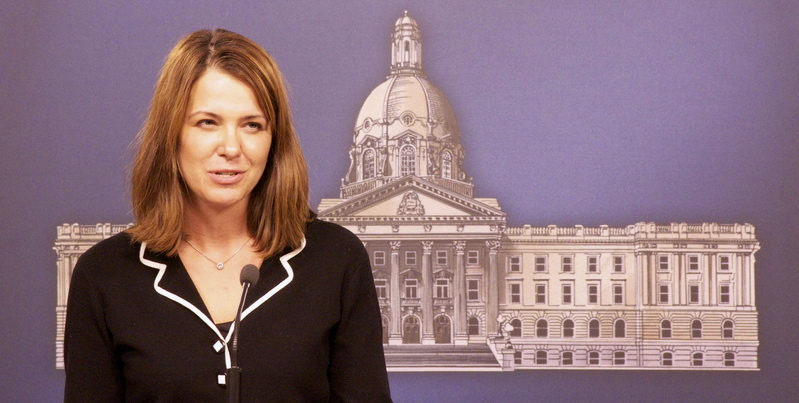 Although Smith still believes Wildrose was necessary, to wake the PCs up, it hardly worked out as she’d planned. She is also much more aware of the limits on elected officials, even when they are in government.